For Asian food aficionados, your time has arrived and so has the cookbook you have been waiting for. 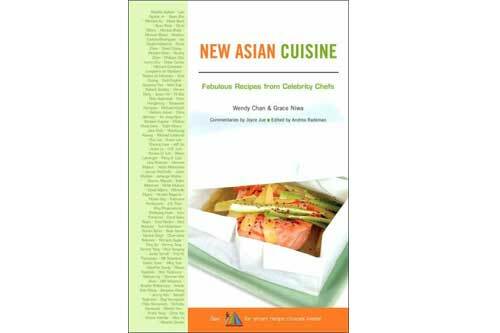 This cookbook features more than 200 recipes from 100 Celebrity Chefs, Asian and non-Asian, and introduces the Asian version of the USDA Food Pyramid. To help you shop for ingredients, we have posted a complete directory of Asian grocery stores on our website, www.newasiancuisine.com. Check out our unique journal section, a passport to fabulous dining around the world, and capture your fine dining experiences at our chef’s restaurants.